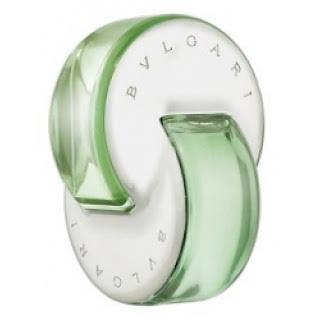 A friend of mine who works at a cosmetic counter gave me a large sample of Bvlgari Omnia Green Jade a while ago, and it wasn't until recently when perfumes started to awaken my sense of curiosity that I tried it. I loved how this perfume opens as well as the ending. It's the middle I can't stand. From first sniff, it's a lovely fresh, green floral. Oh, so enticing! I thought immediately that Green Jade and I could be friends. I also detected a bit of woodsy-ness, and that only added to my initial positive impression. That's where our friendship went downhill. Quickly. I became almost alarmed at the dry down. Where was that combination of chemical/sickly sweet powder coming from? Me? A headache crept up, my nostrils burned with every breath. How could this perfume stab me in the back like that? After an agonizing afternoon, my headache finally stopped throbbing and at last, the overpowering powder scent subsided. I was treated to a deeper wood, but I couldn't just forgive Green Jade for the last few hours of my head pounding. A giant headache sandwich. I wore it a few more times (glutton for punishment, I guess) with the same results. Ugh, this perfume is NOT for my body chemistry. If you happen to try it, I hope that you find it much more appealing than I did. Bvlgari Omnia Green Jade is $64 for 1.7oz of the EdT at Sephora. This review was based on a sample of the product that I received from a friend. For additional information, please refer to my Disclosure Policy.